86% of organisations that use volunteers are under-resourced and say they need more volunteers. But when it comes to recruiting and retaining volunteers, organisations often face similar issues to those they experience with their paid workforces. Many struggle to engage enough volunteers due to a lack of suitable candidates, difficulties locating them, inadequate funding for volunteer programs, or time constraints. If your organisation is focused on increasing and retaining volunteers, we’ve got the whitepaper for you. 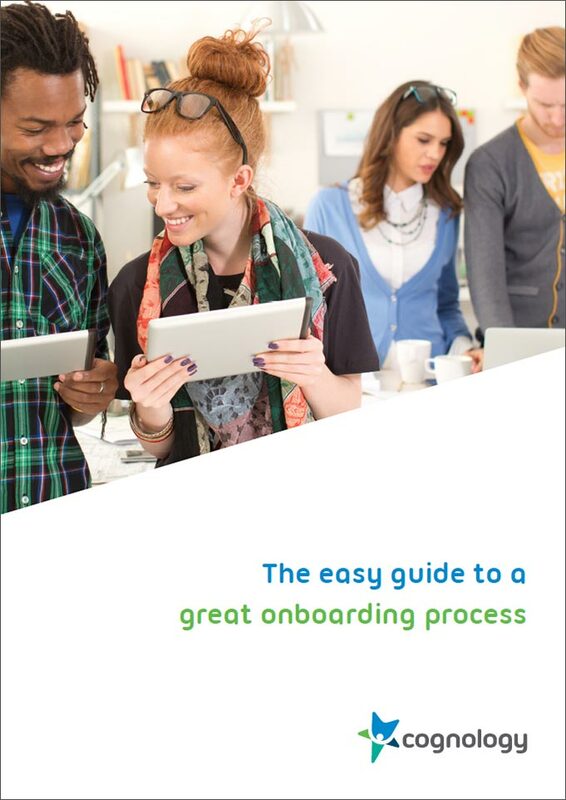 Complete the form and download The Easy Guide to a Great Onboarding Process today. Volunteers are the lifeblood of many charity and social welfare based organisations. Year after year, many community minded individuals give of their time willingly without financial gain or reward just to help others. 75% of volunteers say they get involved in volunteering to give back to their community. Motivated to make a difference in the lives of others, they feel that their efforts as a volunteer produce positive change. But in addition to doing good for others, volunteering has also been shown to offer benefits to those that pour their energy into good causes. Just over 50% of volunteers say they volunteer to meet new people, make friends and gain new skills and experiences. 68% also feel volunteering improves their own well-being and makes them happy. are overburdened by their responsibilities due to the shortage of available volunteers. Onboarding is an ongoing, interactive process made up of a series of formal and informal training coaching, information sharing, goal setting, feedback, networking and social interventions. Planned and tailored specifically for each new volunteer, onboarding combines a range of learning methods with easy to use technology to equip volunteers with new skills and knowledge. With a higher focus on organisational culture and relationships than traditional orientation and inductions, onboarding also ensures they are fitting in and working well with employees and other volunteers. Onboarding technology enables organisations to reach out to volunteers quickly and begin sharing information during the ‘preboarding’ phase. Before they have even started, volunteers can learn more about the cause they are about to join and start getting to know the people they will be working with. Effective onboarding gives volunteers a greater sense of belonging by providing a range of opportunities to connect with other volunteers and build relationships with employees of the organisation. The end result is a group of highly committed volunteers that feel more accepted and valued by the organisation they give their time to. Onboarding ensures volunteers have greater clarity around their responsibilities, understand the organisation better and feel confident and equipped with the skills and knowledge to complete their tasks. As a two-way communication process, it also ensures the organisation is discovering and taking advantage of the skills and experience an individual volunteer has to offer. The ever-increasing compliance requirements and paperwork needed to sign-up volunteers can inhibit recruitment and retention efforts. But a good onboarding system can make all the difference. Automating agreements, forms, and declarations can save an organisation thousands of dollars in labour costs alone by sending and collecting forms in a fully configurable and secure digital format. And with easy access to volunteer records at the press of a button, an onboarding system will take the stress out of situations where the organisation is called upon to demonstrate compliance with industry laws or standards. In an increasingly connected world, the brand and reputation of organisations that engage volunteers are being defined by the experiences shared across social networks. With great onboarding processes, your volunteers will spread the word of how valued they feel, the positive difference they are making in people’s lives, and how well they have been supported by their host organisation.